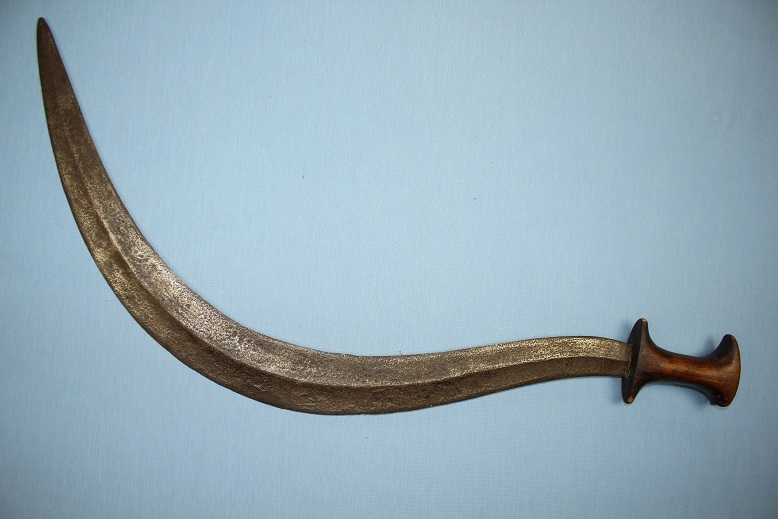 A good early Ethiopian Shotel with a short broad blade type. 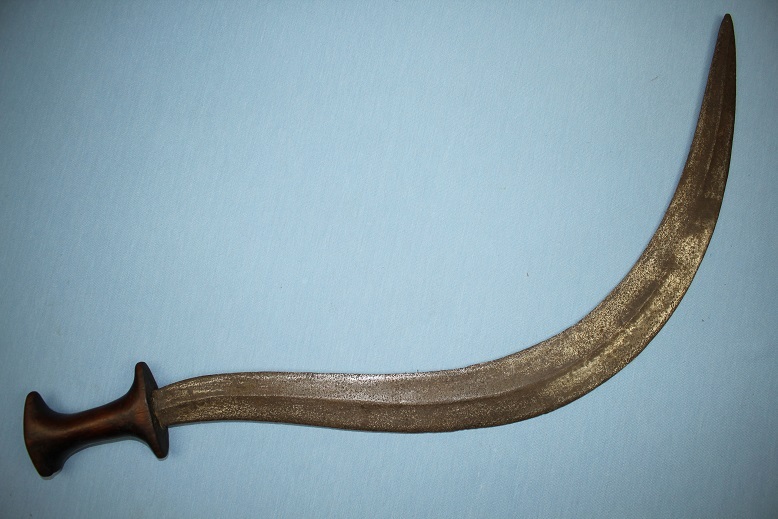 This Shotel measures 72cms long in a straight line. 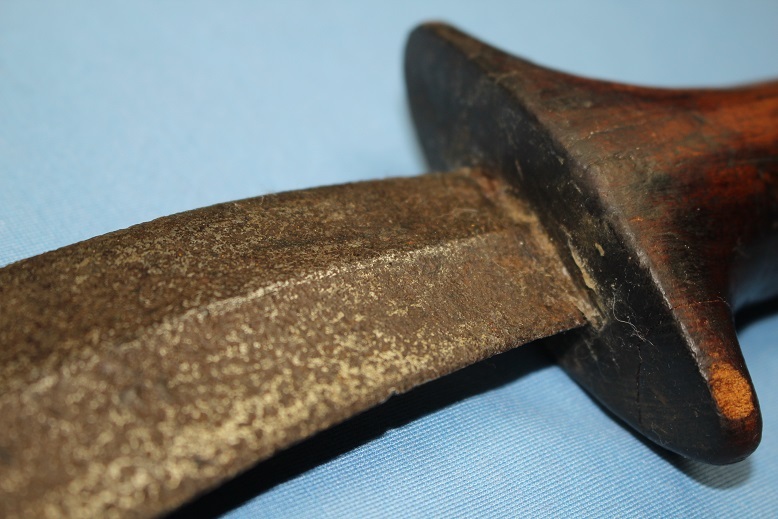 The deeply curved blade has a pronounced medial ridge running through to the tip and hollow forged faces. The blade is sharpened on both edges. 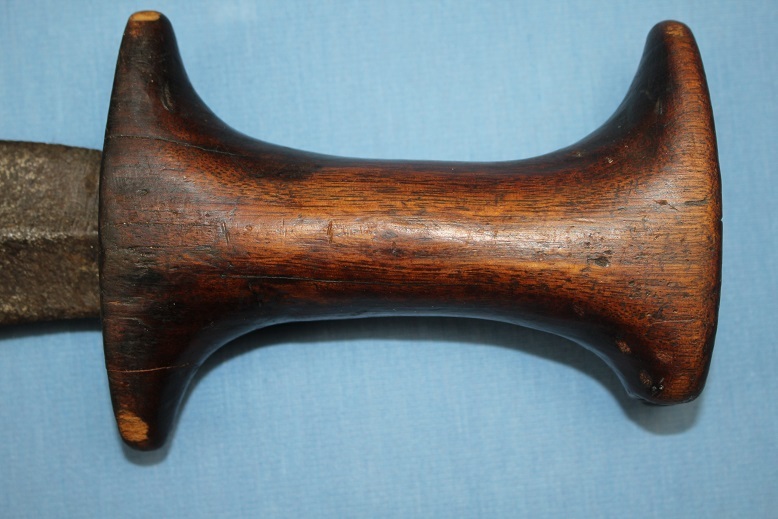 The base of the blade is 3.5cms across, the mid section 5.5cms, then tapering through to the tip. 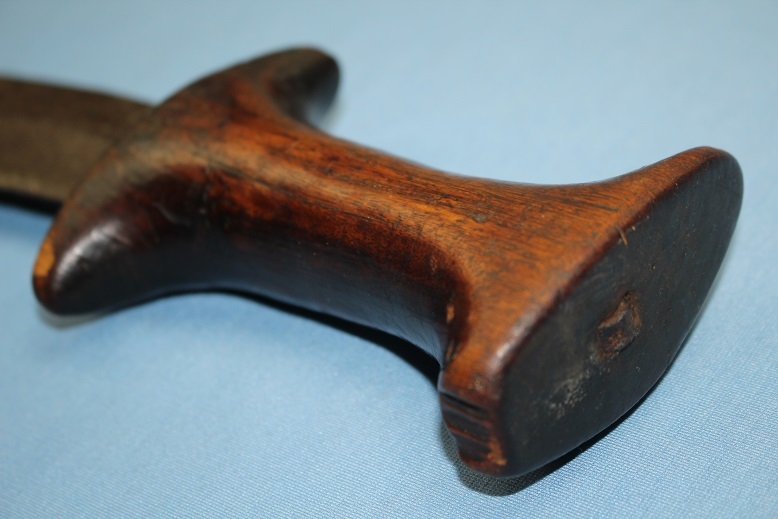 The hilt is of classical Abyssinian form and constructed from a dense timber. An early native example, likely pre European occupation of the regions. A good heavy type with devastating capabilities.